We want to help those in the waterworks and backflow prevention industry and provide as much useful information about Enclosures and Best Practices in Backflow Design and Installation as possible. So we put together these infographics to break down big topics and make them easier to explain and share. More and more water jurisdictions across the US are requiring the use of the RPZ instead of the double check. RPZ valves offer better protection to the water supply. With this added protection comes the additional work of specifying and installing reduced pressure zone valves in a safe place. Over the years, we've learned most designers just aren’t aware the relief valve could dump large volumes of water into the building. And those that did were incorrectly assuming the drain installed below the valve would be sufficient. This lack of awareness puts the building at risk of flooding if the relief valve opens. 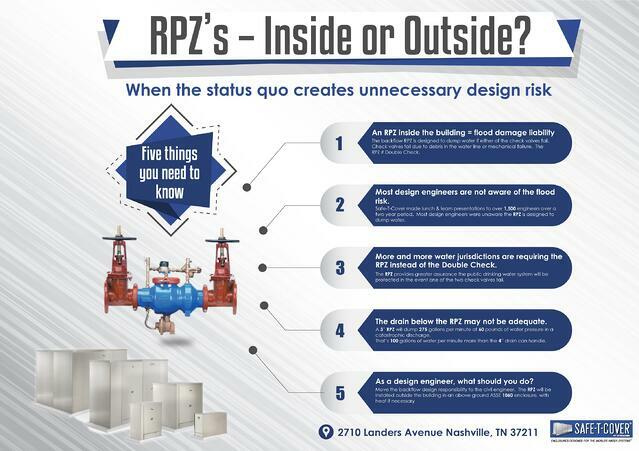 Here's a simple infographic to help break down the RPZ valve problem. You might have noticed that we've been digging deep into the problems with below grade vaults lately. That's because placing backflow preventers in utility vaults can be dangerous. 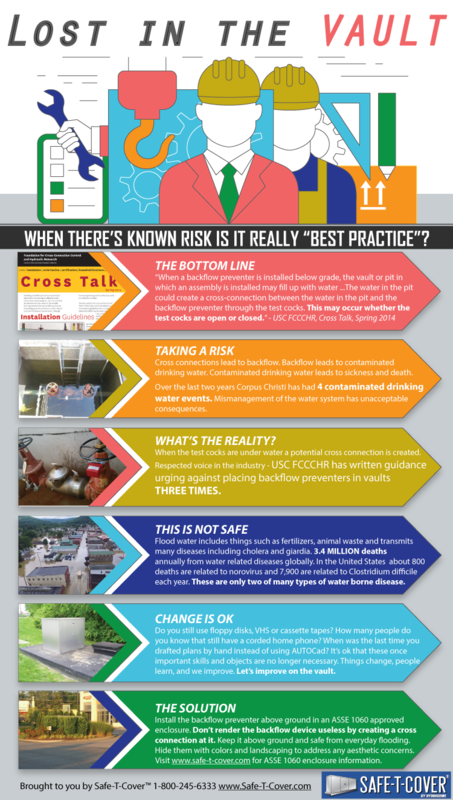 Instead of writing another long and in-depth post on this topic again, we put together this infographic to illustrate the crucial reason to keep backflow preventers out of vaults.